Ms. L&apos;s case is just the latest rights concern to emerge from what critics contend is an unprecedented level of hostility coming from the White House toward immigrants. The American Civil Liberties Union is set to challenge immigration officials in court this week over the reported separation of hundreds of detained immigrant parents from their children. A federal judge in San Diego will hear the ACLU&apos;s arguments Friday in Ms. L v. ICE, a class action suit that emerged from a case reported by Pacific Standard in February. In that case, the ACLU challenged the separation of an asylum seeker from the Democratic Republic of Congo from her seven-year-old daughter. Upon arrival in the United States, the woman—referred to in court documents only as Ms. L—was first housed together with her daughter, but the two were then separated without explanation, according to the ACLU&apos;s complaint, or any indication of the government&apos;s doubts in Ms. L&apos;s parental abilities or stated relationship to her child. The ACLU broadened the suit in March to involve all detained immigrants separated from their children. 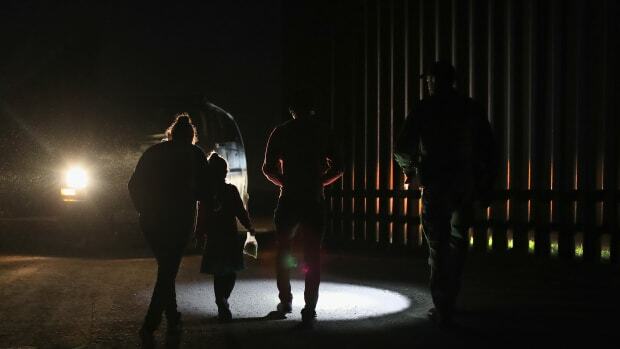 The scope of the separations remained unclear until earlier this month, when the New York Times reported that authorities had separated more than 700 children from their parents. "The ACLU filed a national class-action lawsuit to reunite the hundreds of families who have been separated, and to stop this horrid practice from continuing," Lee Gelernt, deputy director of the ACLU&apos;s Immigrants&apos; Rights Project, tells Pacific Standard in an email. "It is unconscionable that little kids are being torn away from their parents this way." Gelernt, who will argue on Friday to reunite separated families, was unable to comment further on the pending litigation. The government maintains that a "practice," as the ACLU and other observers of immigrant rights have a characterized it, does not exist. 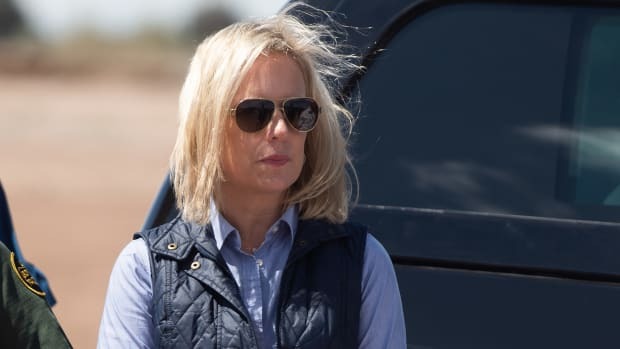 "DHS does not currently have a policy of separating families at the border for deterrence purposes," Department of Homeland Security press secretary Tyler Q. Houlton tells Pacific Standard via email. ICE falls under DHS jurisdiction. As required by law, DHS must protect the best interests of minor children crossing our borders and occasionally this results in separating children from an adult they are traveling with if we cannot ascertain the parental relationship or if we think the child is otherwise in danger. Unfortunately, we have seen many instances where human traffickers have used children to cross the border to gain illegal entry to our country as they know they are unlikely to be detained. This is one of the very loopholes we would like to see Congress end in order to gain operational control of our border. 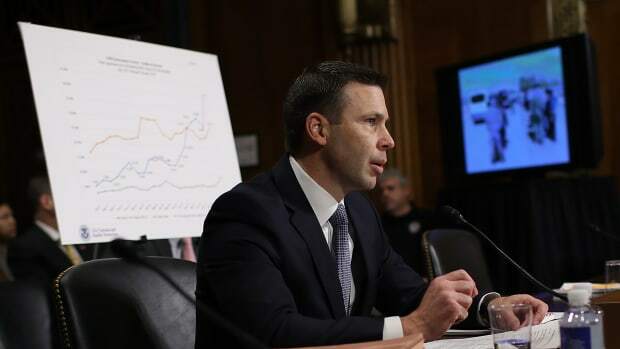 Pacific Standard was not immediately able to independently verify DHS&apos;s claims of a practice of human traffickers allegedly using children as an immigration loophole to enter the country illegally. 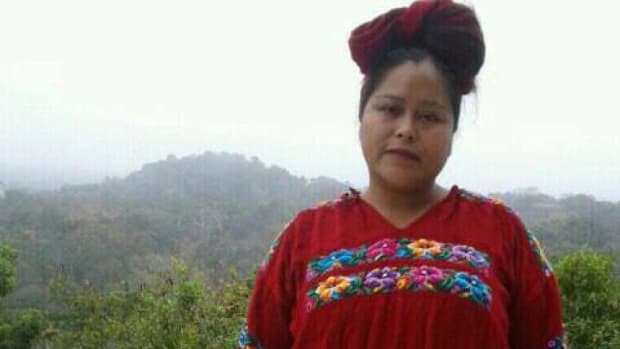 As for Ms. L, she entered the country without the apparent help of a human trafficker, but rather as an asylum seeker—in other words, through legally sanctioned process of immigration—before she was removed from her child without explanation. Immigration authorities reunited Ms. L with her child just a few days after the ACLU moved to extend its lawsuit to all separated immigrant families. The status of the remaining hundreds of families separated from their children will be deliberated Friday. Ms. L&apos;s case is just the latest rights concern to emerge from what critics contend is an unprecedented level of hostility coming from the White House toward immigrants. Protocol under previous administrations mandated that immigration authorities keep detainees together. President Donald Trump has frequently moved to reverse the policies of his predecessors, particularly in the area of immigration. In September, Trump ended the Deferred Action for Childhood Arrivals program, a centerpiece of President Barack Obama&apos;s immigration policy, throwing former recipients into a legal limbo now being decided in the courts. 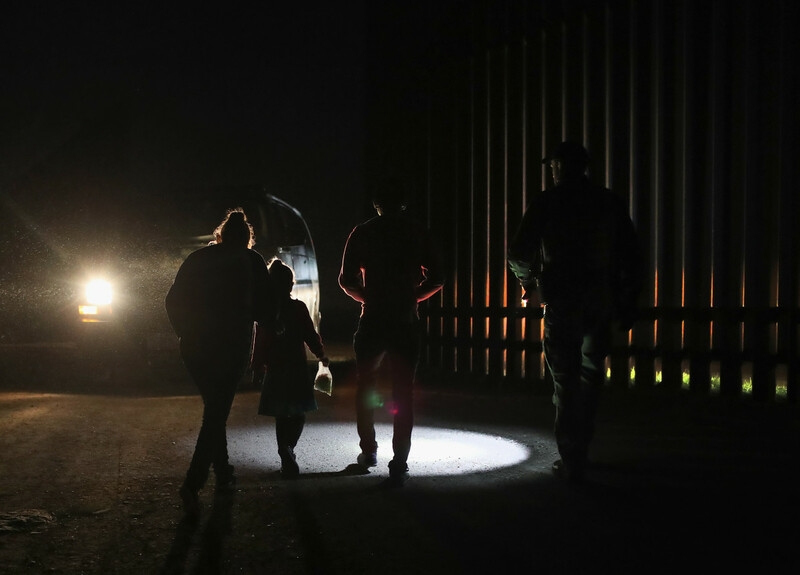 Beyond Trump&apos;s apparent opposition to precedent, DHS&apos;s claims of an anti-trafficking animus offer fresh insights into how the government may argue in favor of its decision to remove what reports say are hundreds of children from their parents. Still, any attempt to separate immigrant parents and children without trial is an infringement on their constitutionally guaranteed rights to due process. 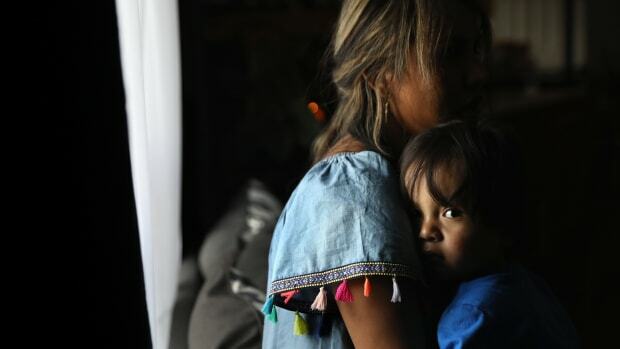 The Trump administration&apos;s separation of immigrant families from their children is just one of several controversies arising from policies that civil liberties advocates warn infringe on due process protections and, more broadly, the integrity of the American justice system. Several classes of immigrants have been indefinitely detained without legal recourse under the Trump administration. Last week, the Trump administration appealed rulings securing Iraqi nationals immigration who had been rounded up for deportation fair trials and effectively releasing them from indefinite detention. The Iraqis aren&apos;t alone. Dozens of Vietnamese immigrants continue to languish in immigration detention facilities as Hanoi refuses to accept deportations that contravene a longstanding agreement with Washington. Rights advocates say that indefinite detention is illegal. ICE has, in recent weeks, come under heightened scrutiny for these and countless similar practices under the Trump administration. 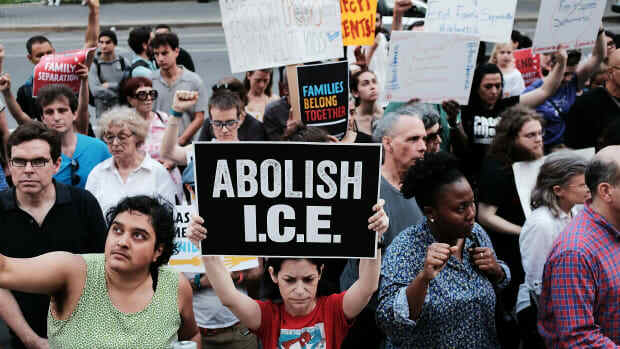 But ICE&apos;s troubles began long before Trump took office, some say; late last week, a Los Angeles Times report revealed that the agency had wrongfully detained almost 1,500 people since 2012, according to a count of legal records and testimony. In the case of the separated families, an absence of transparency into the exact details of the scope and circumstances of the detainees makes it next to impossible to understand fully how the U.S. under the Trump administration is enforcing immigration law—and whether that enforcement comports with the Constitution&apos;s promises of a fair trial.